ARPI600 is a Raspberry Pi Expansion Board, kind of an adapter which lets you add Arduino shields and XBees to your Raspberry Pi. Arduino has grown out of the globe with massive a community and never ending resources. If some how we can get these resources or add ons to work with Raspberry Pi, then that’s a WOWW! ARPI600 makes that wow, it simple adapts the Raspberry Pi GPIO interface to Arduino pinouts making it possible to use your Raspberry Pi with a precious number Arduino shields and hardware/software resources. 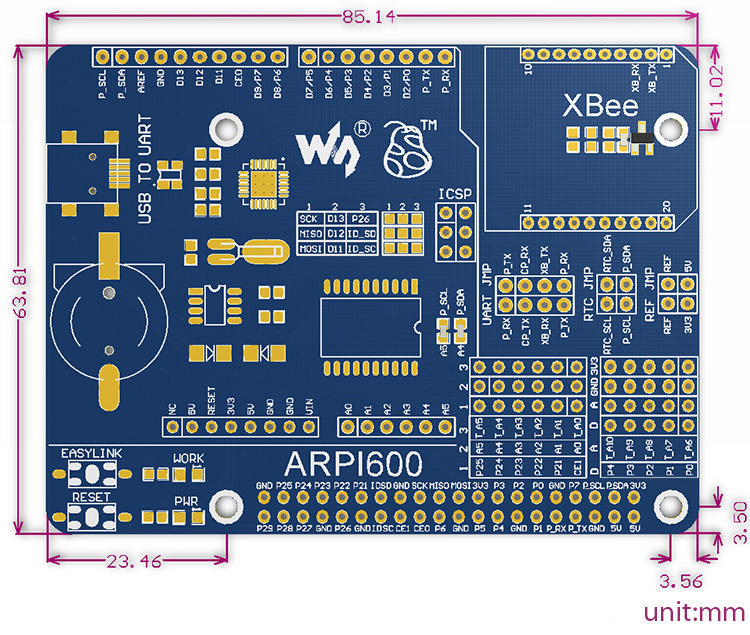 The ARPI600 also supports XBee modules, add up wireless features without having to hassle up with wires.